The first day of Shawwal, the month that follows the month of Ramadan (or Ramzan) in the Islamic calendar commemorates Eid-ul Fitr, an auspicious day to celebrate the completion of a month of blessings and joy. During the month of Ramadan, Muslims observe a strict fast and participate in pious activities such as charitable giving and peace-making to achieve intense spiritual renewal. Celebrants fast during the day and pray frequently, meditating upon the nature of faith and Allah. Ramadan officially ends when the crescent moon of the 10th month in the Islamic calendar is sighted, marking the start of Eid ul-Fitr. At the end of Ramadan, Muslims throughout the world observe a joyous three-day celebration of Eid au-Fitr (the Festival of Fast-Breaking). Eid-ul-Fitr is a time to celebrate with family and friends and also a time to give in charity to those in need. Before the day of Eid, during the last few days of Ramadan, each Muslim family gives a determined amount as a donation to the poor. This donation is of actual food -- rice, barley, dates, rice, etc. to ensure that the needy can have a holiday meal and participate in the celebration. This donation is also known as sadaqah al-fitr (charity of fast-breaking). 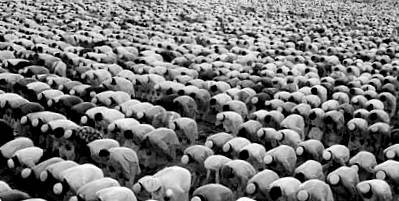 On the early morning of the holiday, Muslims gather in a local mosque or outdoor space for the special Eid prayers (salaat-l-'Eid). This consists of a sermon followed by a short congregational prayer. Every man, woman, and child is welcome to attend this community prayer, which is preceded by a sermon. Following a short prayer, worshipers greet each other and begin several days of family visits. After the Eid prayer, Muslims usually scatter to visit various family and friends, give gifts (especially to children), and call their distant relatives to give well-wishes for the holiday. These activities traditionally continue for three days. In most Muslim countries, the entire 3-day period is an official government/school holiday. Since Eid ul-Fitr marks the end of Ramadan, feasting is an important part of this Muslim holiday. There are no universally traditional Eid foods, but the holiday typically includes rich foods which may not have been eaten during Ramadan, along with elaborate regional or family recipes. Invitations to parties and dinners are common during Eid ul-Fitr, and people often take the day off from work to spend time celebrating. Muslims thus celebrate the completion of a fasting month, seek blessings and forgiveness, and look forward to the opportunity to fast again the following year.